ON TUESDAY EVENING, presidential primary votes will be counted in five important states: Florida, Illinois, Missouri, North Carolina, and Ohio. But in just one of those states will March 15 actually be the day of the primary election. Missouri has resisted the early-voting fad; it is one of only 13 states in which voters do not have the option of casting a ballot weeks before Election Day. Which means that when Missourians vote, there is one thing they know for sure: Their ballot will count. In Illinois, for example, where polling places opened on Feb. 29, Ben Carson enthusiasts who rushed to cast a vote for their man effectively disenfranchised themselves: Carson suspended his campaign on March 4. Any Illinois votes cast for him will count for nothing. It may have been convenient to show up at the polling place two weeks before Election Day — no lines, no weather worries — but for anyone who backed Carson, it was also a complete waste of time. The GOP candidates held three debates — in Houston, Detroit, and Miami. Donald Trump had to be prodded to repudiate the support of David Duke and the Ku Klux Klan. Mitt Romney delivered a blistering televised address condemning Trump's candidacy. The trash talk between Trump and Marco Rubio sank to R-rated lows. Rubio urged his Ohio supporters to vote for John Kasich. News stories, spurred by debate questions, focused attention on lawsuits against the now-defunct Trump University. Bernie Sanders won a stunning upset over Hillary Clinton in the Michigan primary. 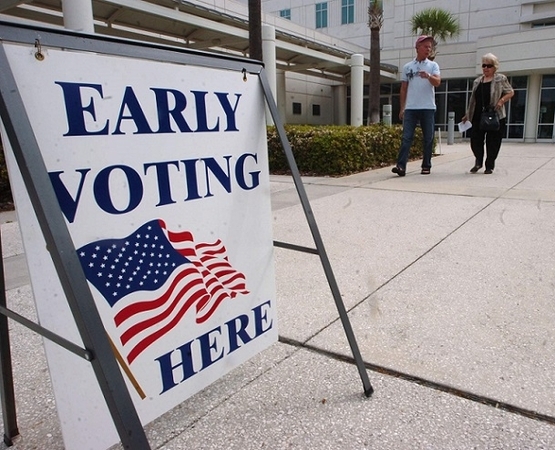 Campaigns relish early-voting laws because it enables them to "bank" votes — early voters who have second thoughts are stuck, even if Election Day is still days or weeks away. And it stands to reason that at least some voters do have second thoughts: In Louisiana's primary this month, Trump overwhelmingly carried early voters, but narrowly lost to Cruz among voters who waited until Election Day. The whole point of having staggered primaries is to allow later voters to take account of new developments and fresh information, yet that's exactly the benefit that early voting undercuts. The transformation of Election Day into Election Month has proved one of our less successful democratic experiments. Voting works better when we do it together — not when each of us decides that we don't feel like waiting any longer.